The cost of fuel and insurance have increased, however. FEWER NEW CARS were sold in Ireland in January, compared to the same month in 2016. Some 39,019 new cars were sold last month, while 39,722 were sold in January 2016 – marking a drop of 1.7% or 703 cars. The figures were released by the Society of the Irish Motor Industry (SIMI) and Done Deal today. In terms of annual sales, 146,603 cars were sold last year, a 17.5% increase on 2015. Car sales contributed €1.5 billion to the exchequer in 2016. Looking at the cost of motoring, the average price of a new car dropped by 5.5% from December 2015 to December 2016. However, petrol prices rose by 1.9 % during the same 12-month period, and diesel prices jumped by 3.2%. Motor insurance costs have increased by 61.5% since 2013, while average C02 emissions have declined by 30.5% since 2008. SIMI has predicted 142,000 new cars will be sold overall in 2017. Jim Power, economist and author of SIMI’s review, said: “Looking ahead to 2017, while the outlook for car sales is a bit more difficult to predict than last year, the projected growth in personal disposable incomes and the availability of credit provide solid support for car sales. However, the impact of Brexit and the increased volume in imported used cars are other issues that may impact on new car sales this year. Overall, though, numbers should be fairly close to last year with perhaps a slight decline of around 3% in new car sales in 2017, which would imply new car sales of around 142,000. SIMI President Alan Greene noted that the motor industry employees 40,800 people throughout Ireland. “2017 was always going to be a more cautious year for businesses, right across the economy, but we have seen a steady start in January and hopefully we are on track for another good year and continuation of a stable market during the rest of the year,” Greene added. Email “The cost of buying a car has gone down, but fewer new ones were sold last month ”. 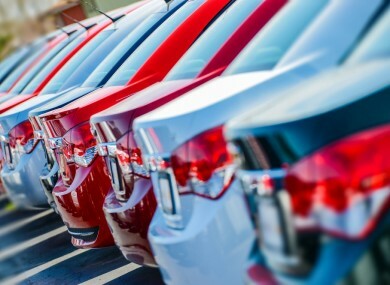 Feedback on “The cost of buying a car has gone down, but fewer new ones were sold last month ”.